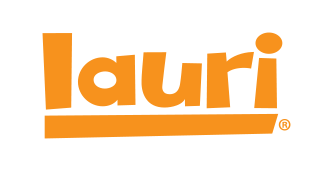 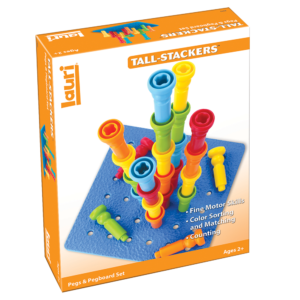 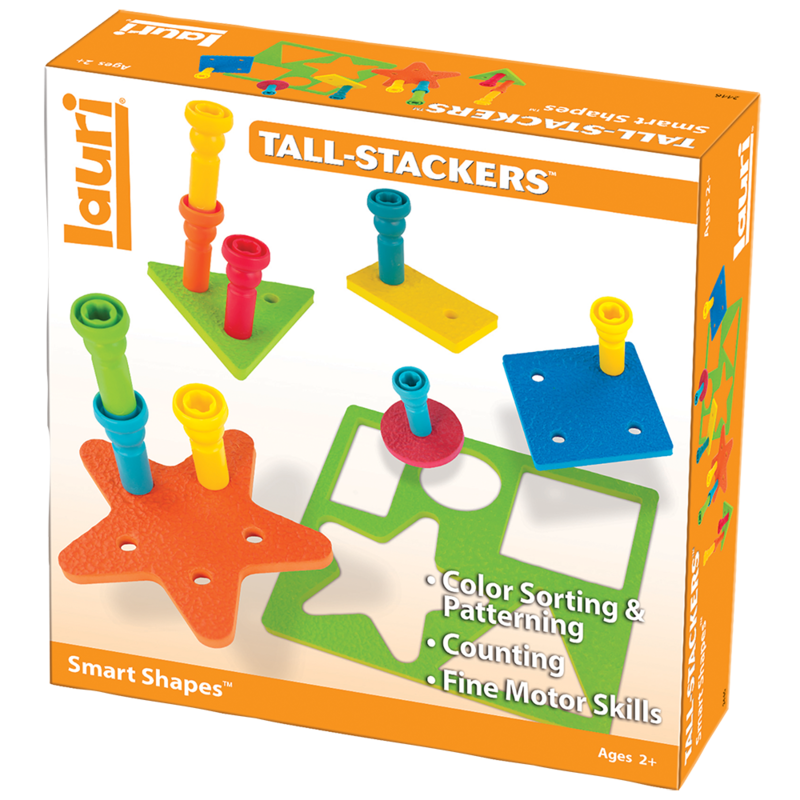 What do you get with five basic geometric shapes made of Lauri® crepe rubber and 21 Tall-Stacker™ Pegs? 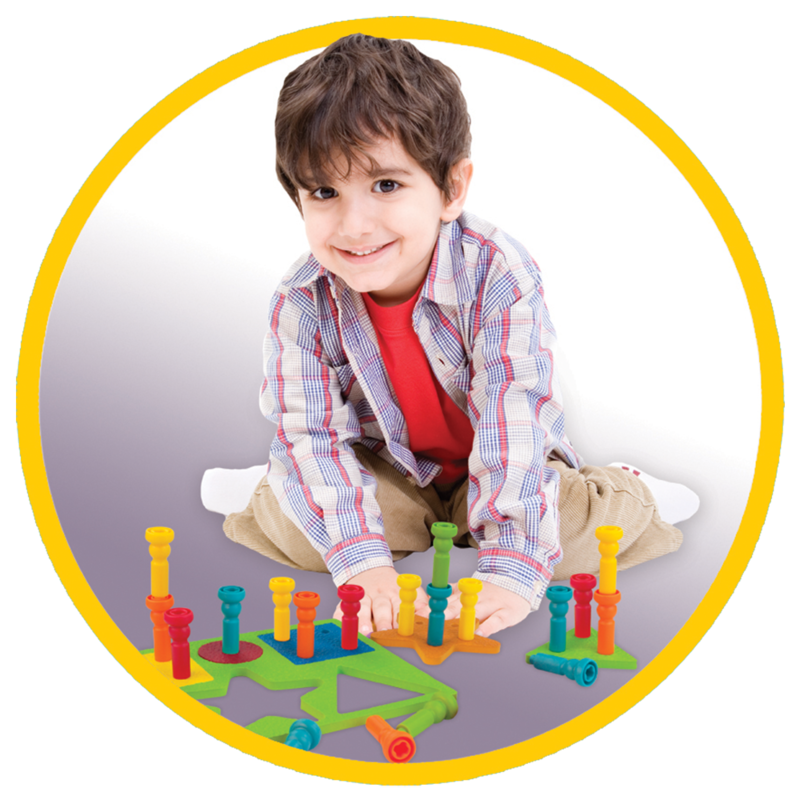 You get a toy that entertains preschoolers for hours in a convenient travel case for kids on the go. 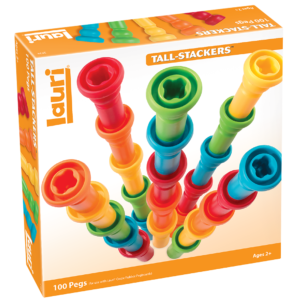 They’ll fill all the holes, sort the pegs by color, and see how high the pegs will stack. 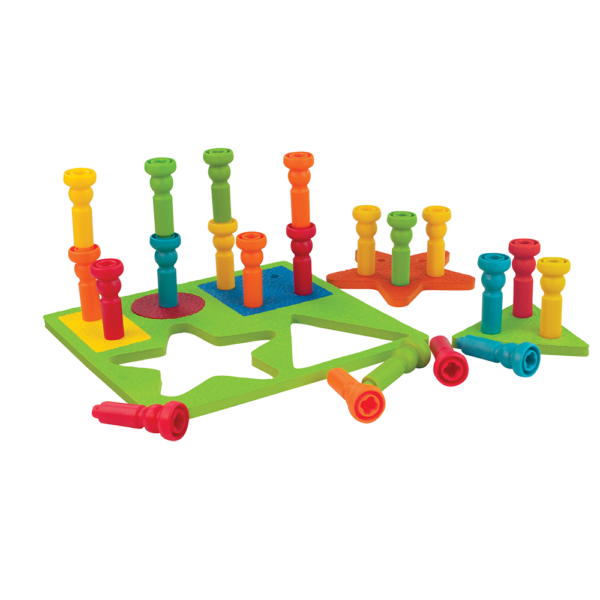 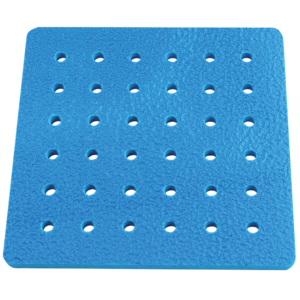 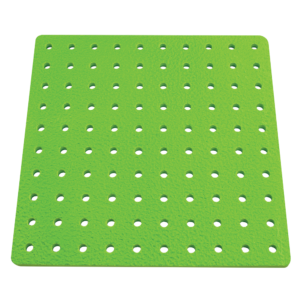 With one to five holes per shape, it’s also a counting toy that lays a good foundation for early math skills. 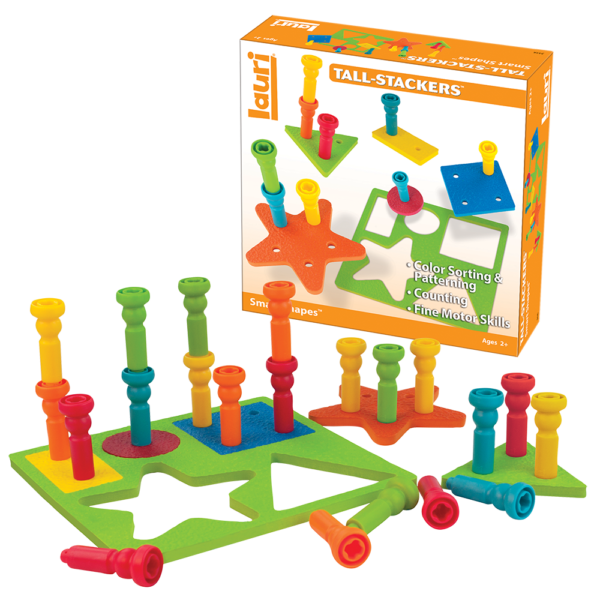 When finished playing, kids will have fun putting the shapes back in the puzzle frame.